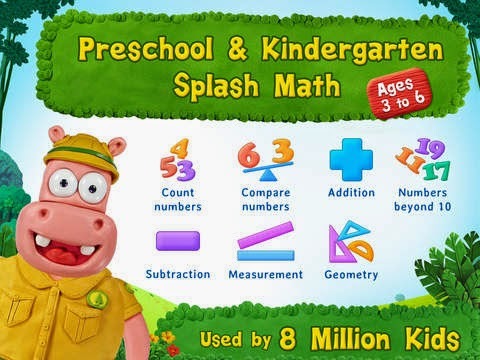 Andrea's World Reviews: Splash Math Makes Learning Fun! Whether you like it or not, the world today is massively reliant on technology. In many ways that can be a great loss to society, but in other ways, there are many benefits of having so much information so readily available. One of my favorite uses of technology is to make learning easier, more fun and less time consuming. Since my kids are so interested in technology, I decided to use it to teach them while entertaining them, and learning apps are the best way to do so. I don't like having to pay for knowledge though, so I much prefer the free apps. I recently discovered two that I love. This app is so good for my son. I love that is is grades 1-5. My son is currently in 2nd grade. He has autism and often does not like to pay attention to written work. 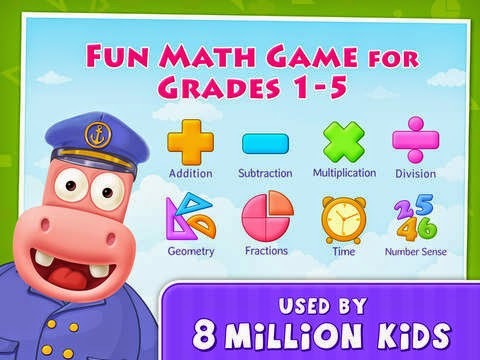 He is very good in math, the best in his class, but I am always hoping for him to learn faster than just grade level, and apps are the perfect way. He is obsessed with his iPad. He really loves this app. I love that it is free, and with this free version you get 20 free math questions every day. That is just enough as to teach without becoming too much like work, and the fact that it is limited almost makes my son like it more. It's like a special event when he can get new questions, that excitement makes him want to learn even more. My daughter is 3, but we had to start he in Pre-K this year because there are concerns about her development. Since our son is autistic already, it is a bigger deal than it may be otherwise, and we are doing everything we can to work with her now as we did our son, who is incredibly smart and has made immense progress. The main way we teach our son is through apps because that is what interests him. Our daughter is the same way. She loves apps and loves to emulate her brother. I love that I can use this app to help her learn while having fun. It is challenging for her, which is exactly what I wanted. I am trying to get her to exceed her age level, so I love that this is kindergarten level work. She is already starting to learn with this, and she really loves it. I love watching her confidence soar when she gets one right. The characters and such are a lot of fun and really hold her attention well. This is a great free app to prepare for kindergarten.